Find fun things to do in Oak Lawn, IL. View our list of attractions, activities, events, restaurants and visitor information. Have breakfast and pictures with Santa Bring your camera and join Santa for a delicious breakfast as you listen to holiday music. Play Come out for an awesome theatre production. Theatre Production Come out for an awesome theatre production. pet show Join the Chicago Pet Shows, for their 9th year in events at the Pavilion in Oak Lawn. Meet up with local rescues and help animals gain their voice. Find out about fostering those in need. Ice Skating family fun This is a perfect event to try out ice-skating and spend quality time with your family and friends. 2-4:30PM - See more at: http://www.visitchicagosouthland.com/leisure_events.cfm#sthash.ABGwzxWR. Situated in Chicago Gateway Inn provides a garden. All rooms feature a flat-screen TV with cable channels and a private bathroom. The property is 15 km from Guaranteed Rate Field and 15 km from Museum of Science and Industry - Chicago. Free Internet, Pets Allowed, Non Smoking Rooms. Currently as low as $100.62/night! Abounding freebies from parking and Wi-Fi to airport shuttle service not to mention an indoor pool motivate our guests to book the non-smoking Hilton Chicago/Oak Lawn. Free Internet, Swimming Pool, Indoor Pool, Non Smoking Rooms. Figure Skating Come out and enjoy the holiday themed skating exhibition. Located in Chicago within 14 km of Guaranteed Rate Field and 15 km of Museum of Science and Industry - Chicago Miami Inn & Suites offers accommodation with free WiFi. 18 km from United Center the property is also 19 km away from Field Museum of Natural History. Free Internet. 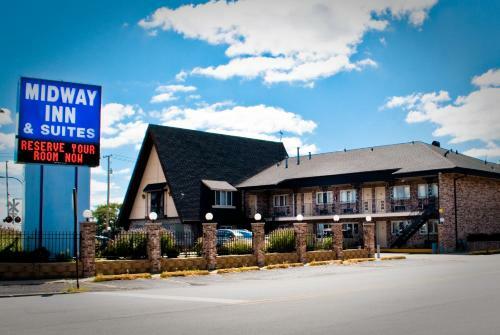 Midway Inn & Suites offers accommodation in Oak Lawn. Midway Inn & Suites is a half mile from the Oak Lawn subway station and Children's Museum in Oak Lawn. It's 19 km from Brookfield Zoo and University of Chicago and 24 km from Adler Planetarium. Free Internet. Book Club Paperback Trading is having monthly book club gatherings every 3rd Tuesday. Event is FREE. Storytime Each month Paperback Trading Co. will pick a theme for storytime, ages 2-8, and a craft. Quite often characters will participate in the story reading. Spooktacular event Activities include magic, inflatables, concessions, dance performances, black light room, eerie crafts, interactive maze. Pet Parade and Beginning of Summer Activites Pet parade, new car show and vendor fair. Pet parade starts at Oak Lawn Hometown Middle School.